What exactly is an 824 file? How does it impact your agency? And what do you or should you do with it? In March 2017, a change was made to the adjudication process at Ohio Department of Medicaid. Prior to that time, any incorrect Medicaid numbers submitted through a Trading Partner, were adjudicated in the 277 claims response file (indicated by a claim level 88 – not eligible) and returned as a denial in your 835 payment files. The change to adjudication was to no longer provide an acknowledgement for any claims submitted with an incorrect medicaid number. All of a sudden, an 824 file would be returned each week when you sent your claims file. 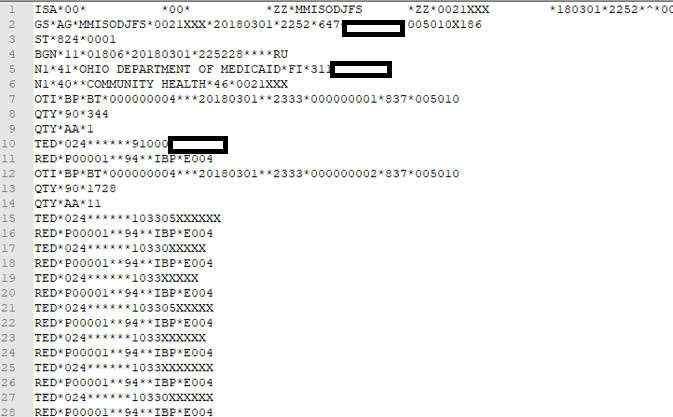 IF you knew of the change and how to read the file, inside you would see a count of how many claims by NPI were thrown out of the file and a listing that includes only the incorrect medicaid number. It took me 3 months and filling in for someone I trained to bill, to realize this change had occurred because there was no notification from Medicaid regarding it. Although this type of adjudication is common in other states, in Ohio they always adjudicated ALL submitted claims. So I created a process to read, locate and rebill the associated claims once the client’s id was corrected (because these claims are never adjudicated, they will never receive a denial). Below is the process I put together that will allow you to read and identify these client’s and hopefully, re-bill any that are still within timely filing. So each week, all trading partners may receive an 824 file. That file contains a list of incorrect Medicaid #’s that were thrown out of the latest billing file and will never be adjudicated. This adjudication change occurred in March 2017. 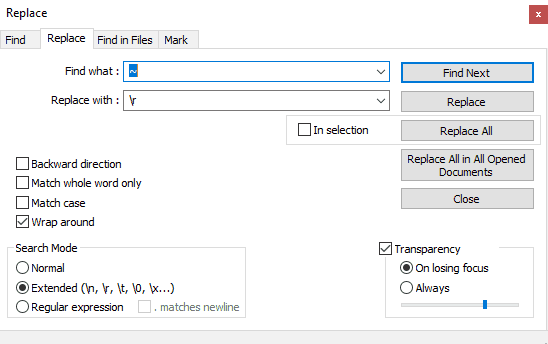 To read an 824 file, it’s best to use Notepad ++ which is a free text editor. To read an 824 file, open Notepad ++. Go to file/open and navigate to your 824 directory. (I recommend keeping all file types separate and named including the date of the file received). When it opens, it looks like one line across the top of Notepad ++. Obviously, that’s not very helpful. Along the top buttons, go to the Search tab and select replace. In the replace screen, make selections as below. You want to select “extended” and place \r in the replace with field. Essentially, you are adding a return anywhere it finds a tilde ~. This will leave the file formatted in a legible manner. It lists incorrect Medicaid #’s by NPI with a count of claims thrown out. Sometimes an incorrect number is duplicated but it definitely does not match the count of claims thrown out of the file. 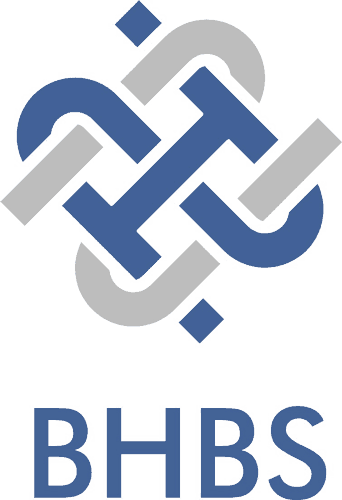 If you have any questions or need guidance processing these files, feel free to reach out to Behavioral Health Billing Solutions, LLC.